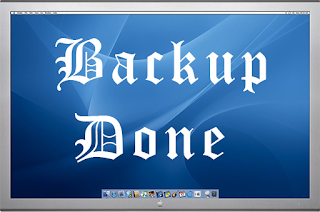 If you want to take back up of your mobile data manually to save it either on laptop or desktop then you need to follow below steps. This is the best location that you can access anytime even if internet is not accessible. 1. First connect your smart phone using USB cable to your laptop or desktop. 2. Now open file explore in windows either using ctrl+E or do right click on start menu and select windows file explorer. 3. After open file explorer you’ll see a new drive in the left side of explorer window under other computer drives. 4. Now open mobile phone drive in the desktop or laptop and open data folder for Audio, video, Images, and other documents in phone memory as well as in external memory card. 5. If you unable to file the files then you can use file extension to search like *.jpg,*.png,*.mp4, *.mp3, etc in search field. 6. After finding files select all files using ctrl+A and copy them using ctrl+C or right click on mouse and select copy option. 7. Once all files copied then go to local drives on desktop or laptop where you want to keep your backup data and then press ctrl+V on keyboard or do right click on mouse and select paste option to paste all copied files from mobile phone drive.